When a student dreams of their higher education experience they have many options to choose from. In America alone there are over 4,000 colleges and universities and within those institutions over 1 million students are international students. Before being accepted into an American University an applicant must have an acceptable score on a college level language exam. 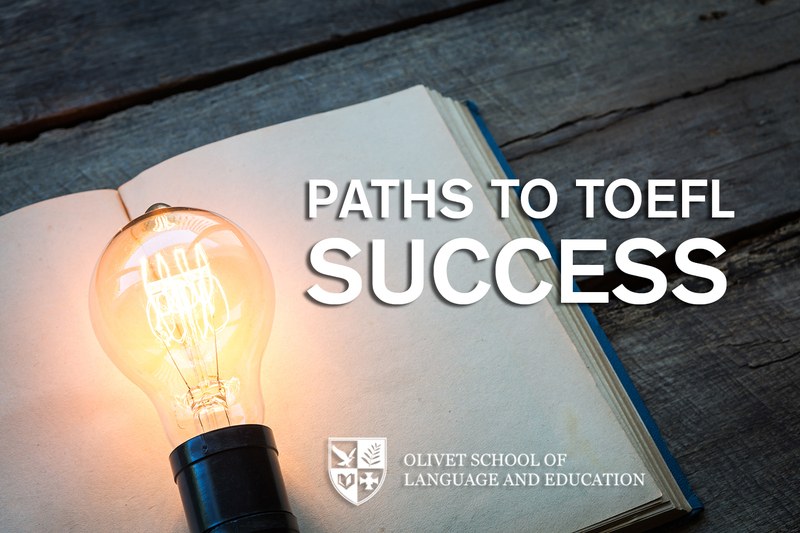 To help increase the English language levels of their students Olivet has developed an ESL (English as a Second Language) program. This program welcomes language learners of all levels and works diligently to prepare students to pass the TOEFL (Test of English as a Foreign Language) exam as well as improve their over-all English abilities. I, Sarah Ahrens, an Olivet ESL Teacher recently met with two of my students to discuss with them how they prepared for and passes the TEOFL exam. Gilbert’s study plan was to read articles, watch movies, and YouTube video that had subtitles. He would then do speaking drills were he repeated what he read and listening to. He also was able to share what he was learning and experiencing with others and practice his daily conversation skills this way. Additionally, Gilbert created for himself a daily routine of immersing himself throughout the day in English. Before breakfast he would do listening exercises, during breakfast he would review vocabulary, and during his work he would listen to English music or radio programs and then speak English with his co-workers. After doing some research on her areas of language weakness Keziah became very intentional about her study strategies and focused much of her time on improving these specific areas. She would listen to internet audios and dictate what the heard, she would repeat this several times until she had a strong understanding of what she had heard.